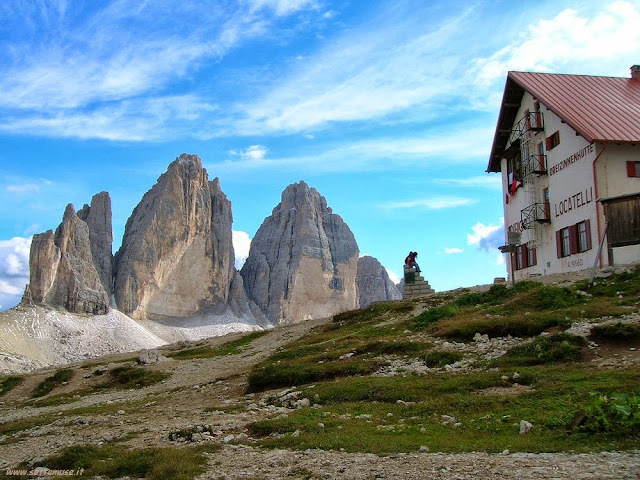 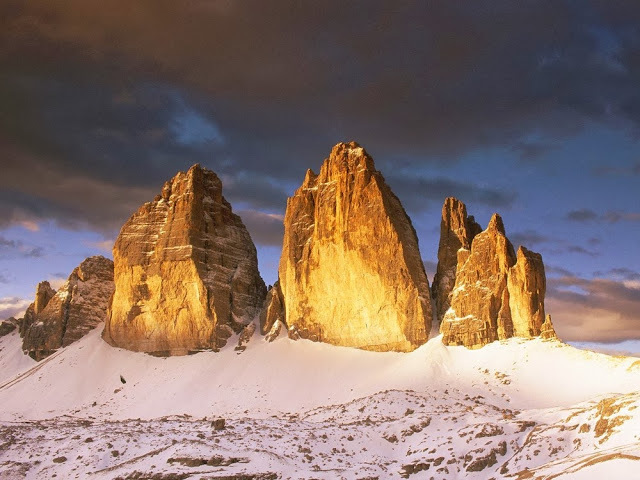 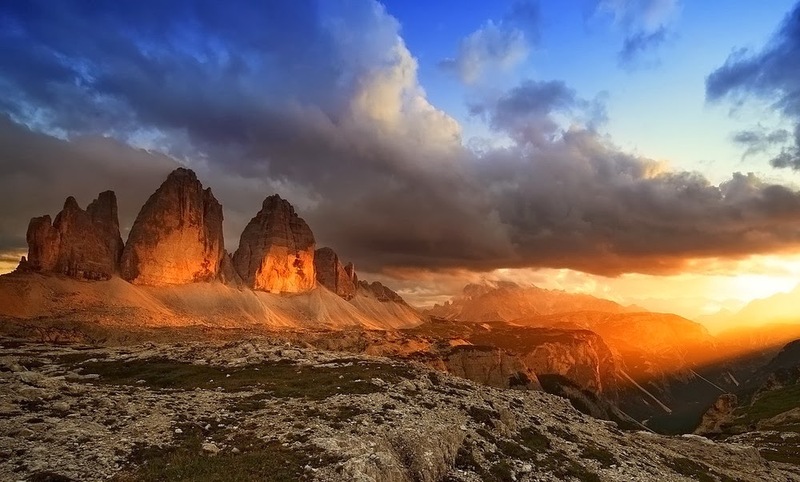 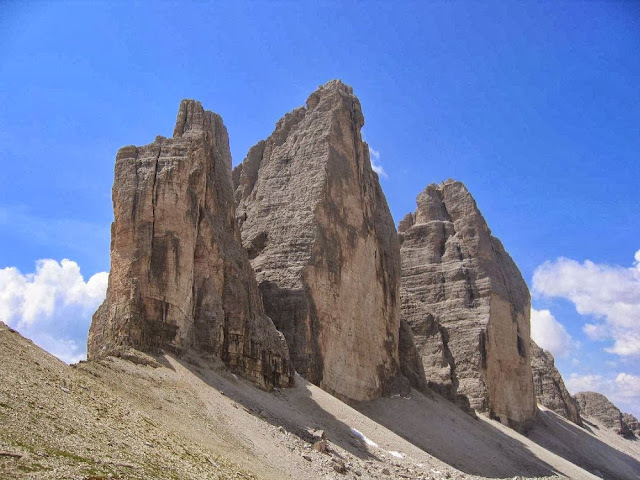 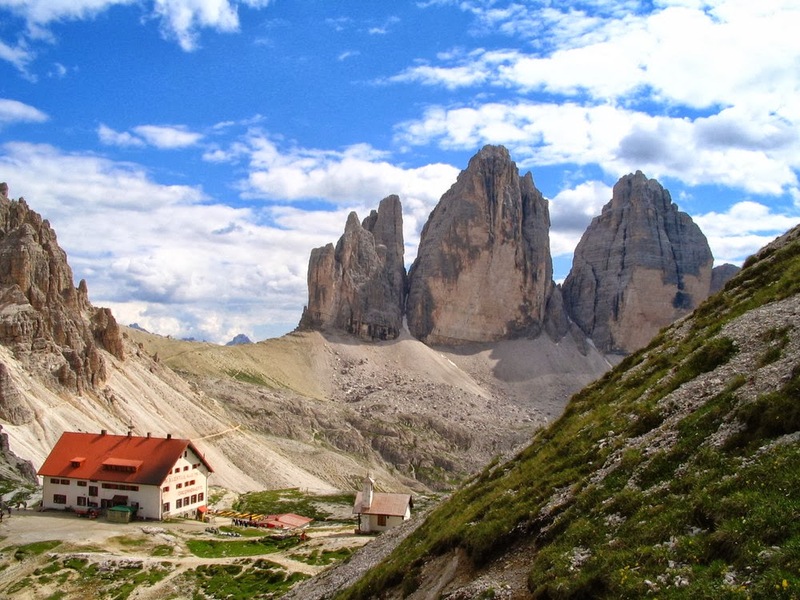 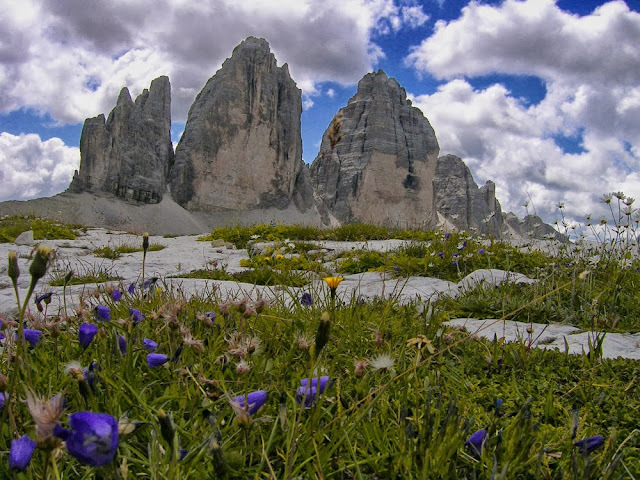 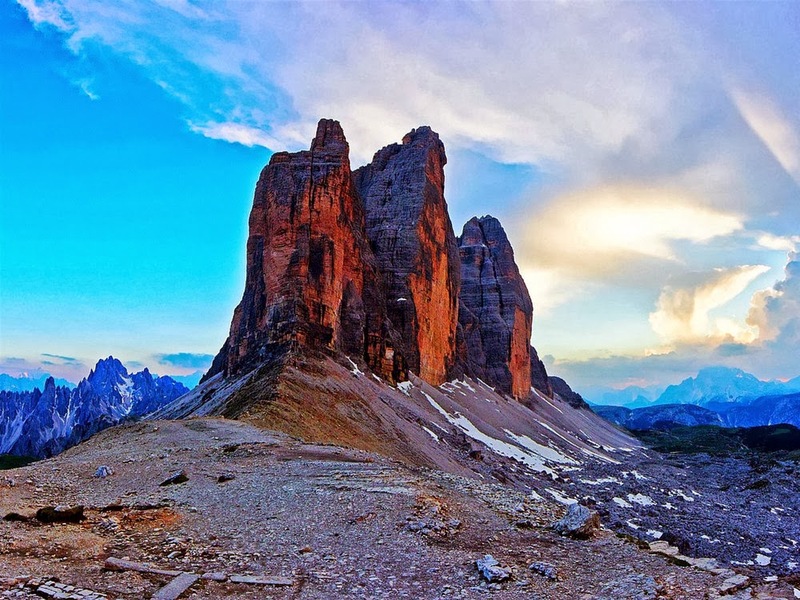 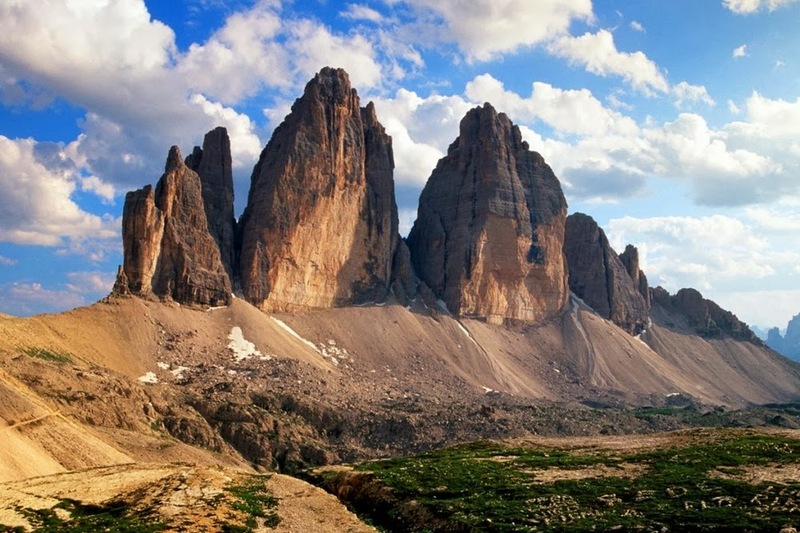 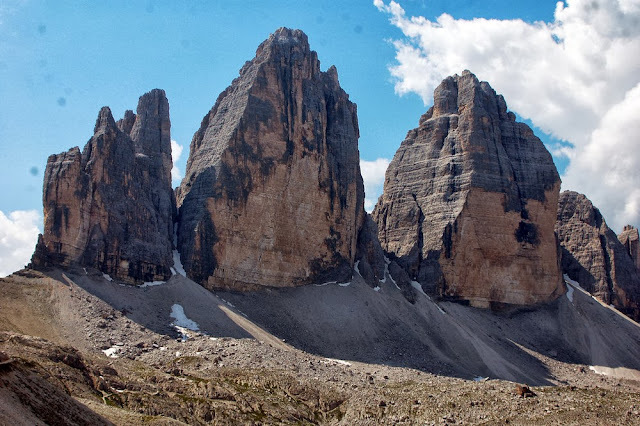 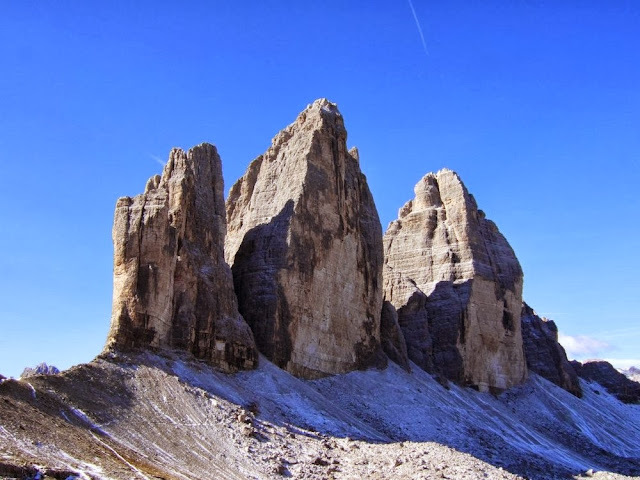 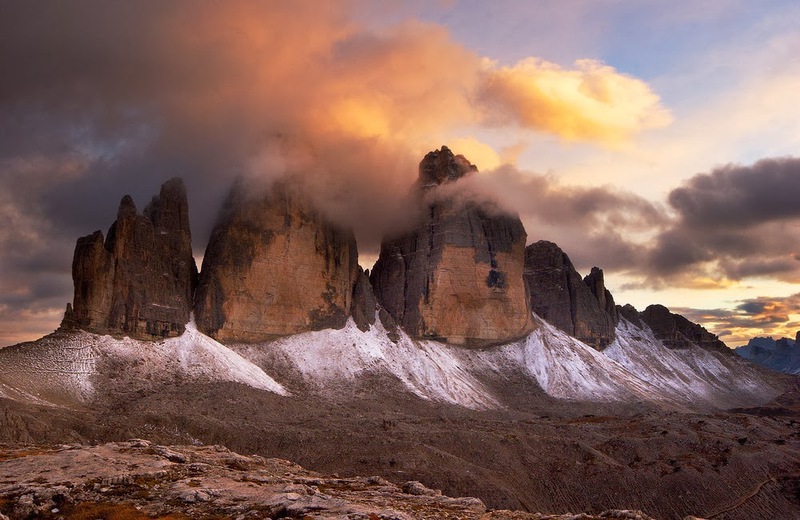 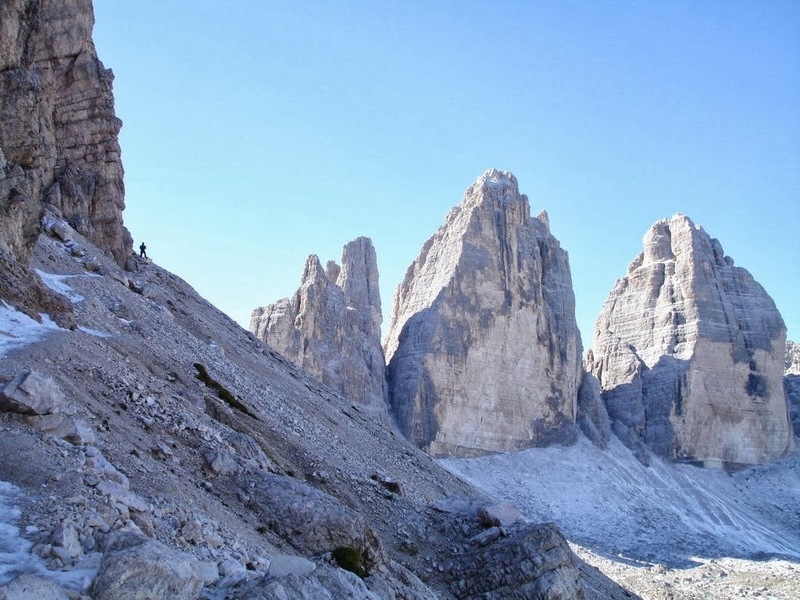 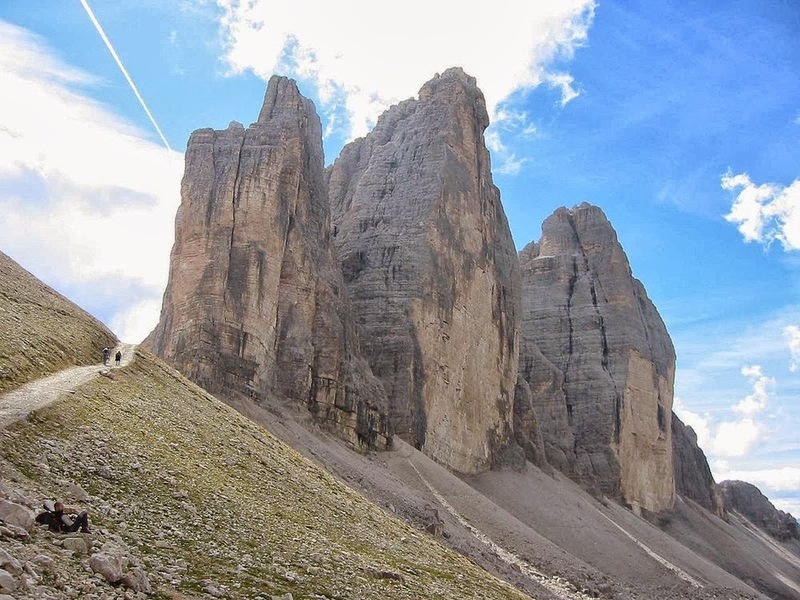 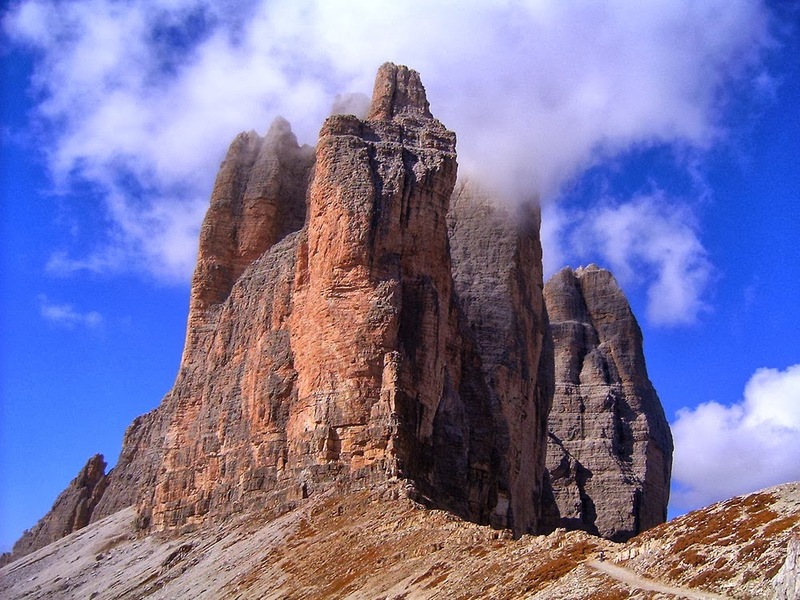 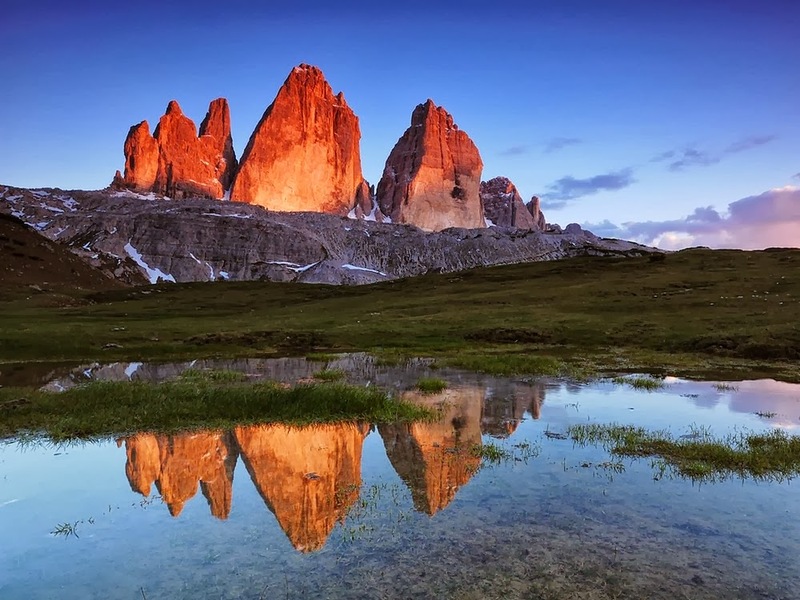 The Drei Zinnen, or Tre cime di Lavaredo, are three peaks forming an impressive massif in the Sexten Dolomites, on the border of the Italian province of Belluno to the south and Alto Adige to the north. 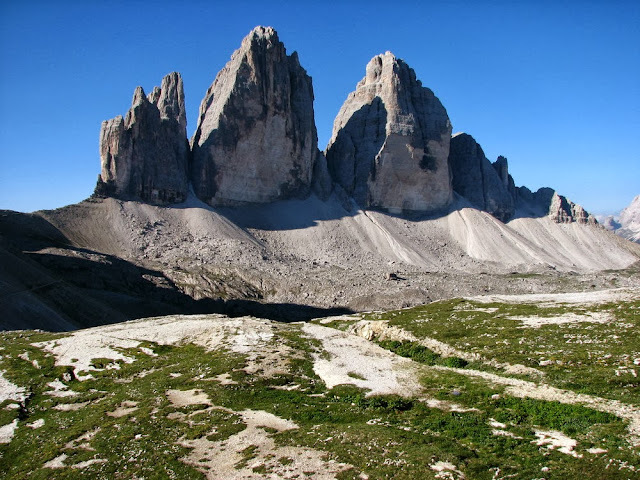 The highest summit in the group, Große Zinne or Cima Grande, reaches an altitude of 2,999 m, flanked by the other two peaks, the Westliche Zinne/Cima Occidentale/(2,973 m) and Kleine Zinne /Cima Piccola (2,857 m). Aside from these important landforms, there are also some other peaks that belong to the same massif, such as the Punta di Frida (2,792 m) and Pressturm or Kleinste Zinne/Cima Piccolissima (2,700 m).